Sep - 02 | By: Oregon Film | 7 comments. The Oregon Governor’s Office of Film & Television Board announced today the appointment of Tim Williams as Executive Director. Williams comes to the job after a lengthy search by the Oregon Film Board and plans to officially start in Oregon Film’s Portland office by October 1st. Previously based in London and New York, and now living in Los Angeles, Williams has a long history in film and TV production and finance throughout the US and internationally. He recently worked for Fox Searchlight during preparations for their upcoming film “Wild” – which shot on more locations throughout Oregon than any other feature film. It was during this time that Williams got to know both the Oregon Film Office and the thriving media industry based in Oregon. He is replacing outgoing Executive Director Vince Porter who moved on to be Oregon Governor John Kitzhaber’s Policy Advisor on Jobs and the Economy. Williams has been both an executive and independent producer for more than 25 years and has partnered on projects with companies as diverse as Fox Searchlight, FreMantle Media, HBO, BBC, Vuguru, Hulu, BlipTV, Legendary Pictures and Film Finances. His credits have appeared on many projects including the Emmy Award winning HBO feature documentary MANHUNT, the ALMA Award Best Picture PIÑERO, five time Academy Award nominated IN THE BEDROOM and the multiple award winning online and Broadway hit, OLD JEWS TELLING JOKES. 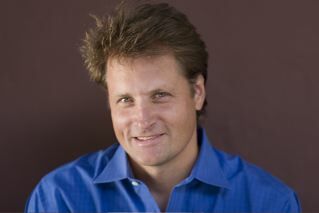 From 1998 to 2011, Williams was a partner, Co-President and Head of Production for GreeneStreet Films; a leading New York based independent film company. While there, he was involved in the production of nearly 30 features, producing or executive producing most of their projects. Latterly, he managed the company’s opening and running of their Los Angeles office and started their new media initiative, Jetpack Media. Williams started his career as a set production assistant and assistant director in New York on numerous features, commercials and TV shows, and then worked for many years producing and directing new plays on the London Fringe. The Oregon Governor’s Office of Film & Television has been helping productions find, secure, and utilize magnificent locations since 1968. The Oregon Film Office’s mission is to promote the development of the film, video, and multimedia industry in Oregon, and to enhance the industry’s revenues, profile, and reputation within Oregon, and among the industry internationally. A big welcome to Tim from Actors in Action!!! Welcome, Tim – we’re looking forward to working with you! A hearty welcome (and some nostalgia from Blighty) to Oregon and the helm of the GOFT. As one producer in the mix with an i-OPIF project in the hopper for this year, I look forward to working with you and your tried and tested team. This is great news for all of us in Oregon. Welcome Tim! A warm welcome to Oregon Film, Tim! Having had the privilege to work with all 8 of the former Oregon Film Commissioners, I would be honored to support you any way I can. Looking forward to working with you to protect Oregon’s production incentive tax credit and ensuring the public is aware of the great contribution film and video make to our economy! Welcome to Oregon Film, Tim. It is wonderful to have you join our creative community and industry! Looking forward to meeting you in person.